Last week, a group of Sinhalese fishermen were brought to Paampadichchaan-oadai, located close to Kaayaa-kuzhi, and they had put up fishing huts (Vaadis) and gone back to Gampaha district, while the civil officials have been instructed to collaborate with Sinhalicisation. 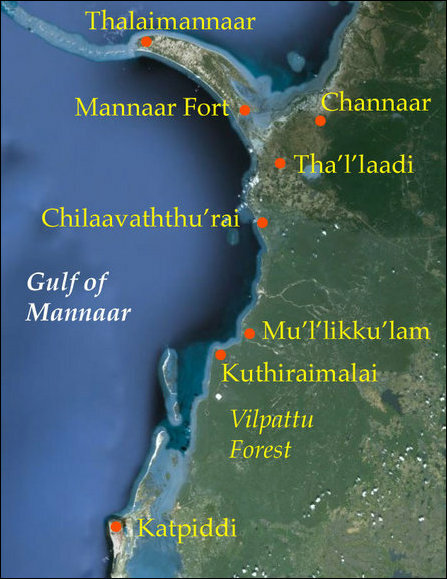 Kaayaa-kuzhi is situated between Ma'richchuk-kaddi, a Muslim village and SL Navy occupied Mu'l'lik-ku'lam, which is a Tamil village. 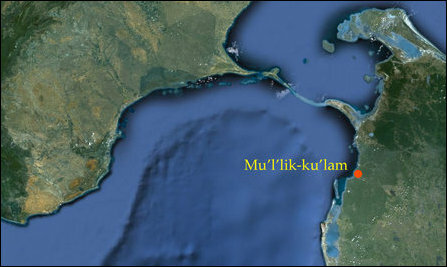 A section of the uprooted fishermen from Mu'l'lik-ku'lam are residing at Kaayaa-kuzhi. Noor Alam Mohammed, the leader of Fisheries Societies in Mannaar, who earlier vowed to protest against the move, was also present with the protesting fishermen on Wednesday. The Tamil and Muslim fishermen went from Kokkupp-padaiyaan to Muslai Divisional Secretariat in procession and handed over an appeal to stop the colony. TNA Parliamentarian Selvam Adaikalanathan, who hails from the district was also present at the protest and was trying to console the protesters promising to take up their concerns with SL Minister for Fisheries. The protesting fishermen said they were not opposed to fishermen from other districts engaing on fishing in the seas, but they were completely opposed to any fishing colony disturbing the ethnic harmony prevailing in the division. While the lands of Tamil-speaking fishermen have been seized and transformed into a SL Navy and the SL Navy is operating against the Tamil fishermen in the division, the SL Police and civil officials coming under the Colombo government have also turned against the Tamil fishing families in Musali division as witnessed following the criminal conduct of SL Navy personnel at Arippu in recent days. In the meantime, the elected Northern Provincial Council has been sidelined, not only by Colombo, but also by New Delhi and other external powers. The NPC has no say in shaping the affairs of the fishermen in the Northern Province, civil activists in Mannaar commented. 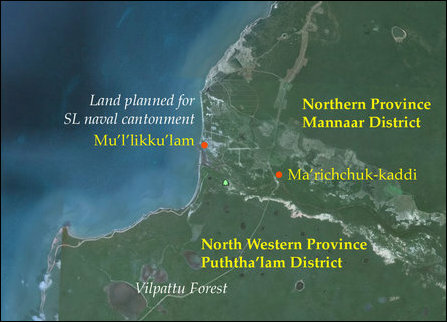 The coastal stretch of Musali division has become a strategic area of occupation to Colombo, which aims to Sinhalicise and colonise the land and the historic waters of Eezham Tamils.